WASHINGTON (CBS/AP) John Patrick Bedell may have left red flags all over the internet, including blog posts about 9/11 being a hoax, and YouTube videos ranting about a complex system of "information currency," but it seems that no one was listening. Or at least no one that would do anything to prevent his alleged rampage at the Pentagon Thursday night. 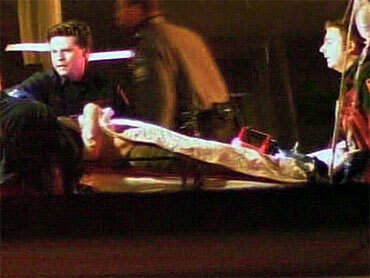 Photo: A gunman opened fire on Pentagon Police Thursday, Feb. 4, 2010. A Wikipedia entry apparently linked to Bedell, posted under the name JPatrickBedell, says that he intended to "see that justice is served in the death of Colonel James Sabow, as a step toward establishing the truth of events such as the September 11 demolitions and institutions such as the coup regime of 1963 that maintains itself in power through the global drug trade, financial corruption, and murder, among other crimes." Col. Sabow's 1991 death was ruled a suicide but has long been referenced by 9/11 conspiracy theorists, and his own family, as a precursor to the "9/11 demolitions" and an effort to cover-up the government's involvement with the attacks. A YouTube video, posted by the username jpbedell2006 lays out a theory called "information currency," which describes a "framework for information management that uses financial markets to create the economic signals (prices) that will effect complex human actions in the real world based on specified information." In an odd parallel effort, Bedell also condemns what he calls "unjust laws, cannabis prohibition" in the Wikipedia post linked to him, and says he grew 16 cannabis plants on his balcony in Irvine, CA in order to protest those laws. The law caught up to him that time, but it seemed to only stoke a simmering rage against the government that finally exploded on Thursday, resulting is his death. Pentagon officials say that at around 6:40 pm, Bedell blended in with workers in order to gain access to the Pentagon. Richard Keevill, chief of Pentagon police, told a news conference Friday that Bedell then "reached in his pocket, pulled out a gun and started shooting," before officers returned fire, critically injuring the gunman. "He walked up very cool. He had no real emotion on his face," Keevill told reporters. "[This was a case of] a single individual who had issues." Issues that he apparently did not keep private.